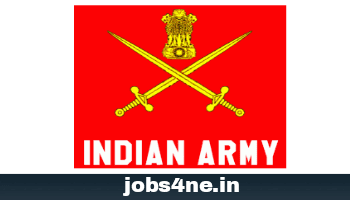 Indian Army Recruitment 2017- 10+2 Technical Entry Scheme Course- 38: Last Date 14-06-2017. - Jobs4NE : Jobs in Assam and North East India. Indian Army Recruitment 2017- 10+2 Technical Entry Scheme Course- 38: Last Date 14-06-2017. Starting Date of Online Application: 16-05-2017. Last Date of Online Application: 14-06-2017. Name of the Exam: 10+2 Technical Entry Scheme Course- 38. Total No. of Posts: 90 Nos. Age Limit: A candidate must not be below 16½ years and above 19½ years on the first day of the month in which the course is commencing i.e. the candidate should not be born before 01 Jul 1998 and not after 01 Jul 2001 (both days inclusive). Educational Qualification: Passed 10+2 or its equivalent with a minimum aggregate of 70% marks in Physics, Chemistry and Mathematics from a recognized education institute/ board. Selection Process: Candidates will be selected based on medical exam, merit & interview. (i) Class 10th certificate / mark sheet showing DOB in original. (ii) Class 12th certificate / mark sheet in original. (g) Candidates must submit only one application, Receipt of multiple applications from the same candidate will result in cancellation of candidature. For more details on this recruitment please download the advertisement details from below.